You read right, there’s going to be a food fight showdown and you’re invited. WHEN: Thursday, April 21st 2016, 6 p.m.
Limited seating for the public. Info at NewarkNY@afterschoolallstars.org. 20 school kids will battle it out in a race against the clock,“Chopped” style, to make the tastiest, most creative and healthy sandwich that will be judged by an expert panel. The students, from underserved communities, are part of After-School All-Stars’ MasterChef program, where they are exposed to new foods through lessons, culinary excursions and guest teachers. 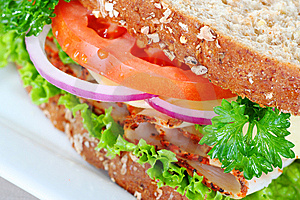 The Sandwich Showdown is a fun, creative way to teach kids about healthy eating. The event is part of Amy’s Bread Chef Sandwiches for Good, a charity sandwich program featuring top chefs. Chef Galen’s April sandwich is the All-Star Turkey Cheddar Melt and will benefit After-School All-Stars (ASAS), which offers enrichment activities for kids in low-income communities. 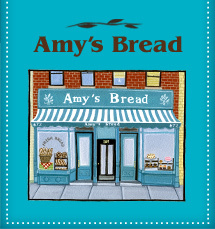 Sandwiches are sold at all Amy’s Bread locations. Childhood obesity has more than doubled in children and quadrupled in adolescents in the past 30 years. Healthy lifestyle habits, including healthy eating, can lower the risk of becoming obese and developing related diseases. Schools can support students’ efforts to eat healthy by implementing policies and practices that support healthy eating and by providing opportunities for students to learn about and practice these behaviors. This entry was posted by Rosemarie on Tuesday, April 19th, 2016 at 12:42 pm	and is filed under American/Comfort, Events, Manhattan, Upper Westside. You can follow any responses to this entry through the RSS 2.0 feed. You can leave a response, or trackback from your own site.